The Episode starts with Triloki scolding Raghuvendra’s friends for drinking beer. The guys joke. Triloki asks him to get out. GST waits for the play to end. Madhu says play will end in an hour. GST says we can’t even wait for one min. He switches off the light. Omkar calls GST. Jagat says I don’t think this is happening right. Mangal says yes, I feel Omkar is getting sacrificed. They decide to stop the marriage, as they can’t see Omkar marrying forcibly. They stop the marriage. GST asks someone to stand still and just be. He tries to get lift by doing a drama. Shivika is in mandap. Triloki tells Raghuvendra about his friends ruining the marriage ambience by drinking alcohol, don’t be with such friends. Mangal asks Omkar to get up, he won’t marry like this. Jagat says right, we did a mistake, we lied to you. Chachi asks did you go mad. Mangal says we got mad before, we were cheating Omkar. He apologizes and cries. He says refuse for marriage if you don’t want, we came in Sadhu’s words, marry only if you want. Jagat says you can punish us, don’t leave us. Omkar says you know I wanted to hear this from you, I knew this before. GST comes to stop the marriage. Omkar says this dialogue is over. Mangal says I told this. Omkar smiles. GST asks Omkar to see the sadhu he got. He exposes the saint. Gupta says he is Maya’s cousin. Mangal scolds him. Omkar says don’t beat him, we should know why he did this. Pandit asks marriage will happen or not. Bua comes and says Nisha has to get married, else her life will be ruined. She asks Jaya to answer her. Jagat apologizes to Bua. Omkar says wrong is happening with Nisha as well. Nisha expresses her wish to study. Omkar says Nisha will stay here, I will take responsibilities of her studies and marriage. GST beats the fake Saint. He asks why did you do this. They see Jaya. Raghuvendra refuses to do the rasams. Triloki says this isn’t good. Jaya denies the blames and asks Maya to tell what’s going on. Jaya gets acting. When she hears her audio recording, she says its not my voice. She gets tensed. She cries and says I did this for settling Omkar, I had to lie to make everyone accept Nisha. Jagat says I will not forgive you. She accepts her mistake and apologizes to everyone. Maya asks shall I pack your bag. Jaya asks her to come along. She cries and does emotional blackmail. Triloki stops the pandit. He asks Raghuvendra to come for a talk, its imp. Guru ji asks what’s the matter. Triloki asks him to come as well. They go. Triloki checks Raghuvendra’s hair and says Guru ji, you didn’t give values to your son. Omkar stops Jaya. Raghuvendra keeps a condition and asks Shivika to end ties with her dad. 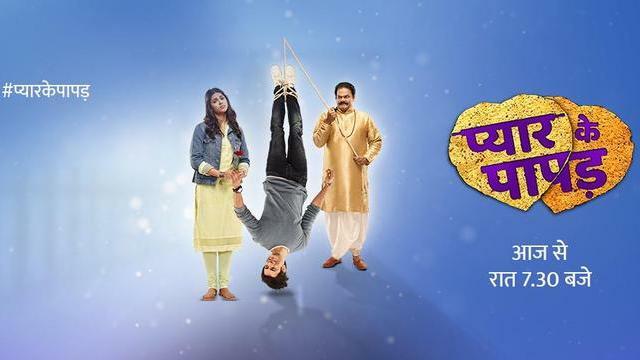 The post Pyaar Ke Papad 1st March 2019 Written Episode Update: Omkar’s marriage is called off appeared first on Telly Updates.